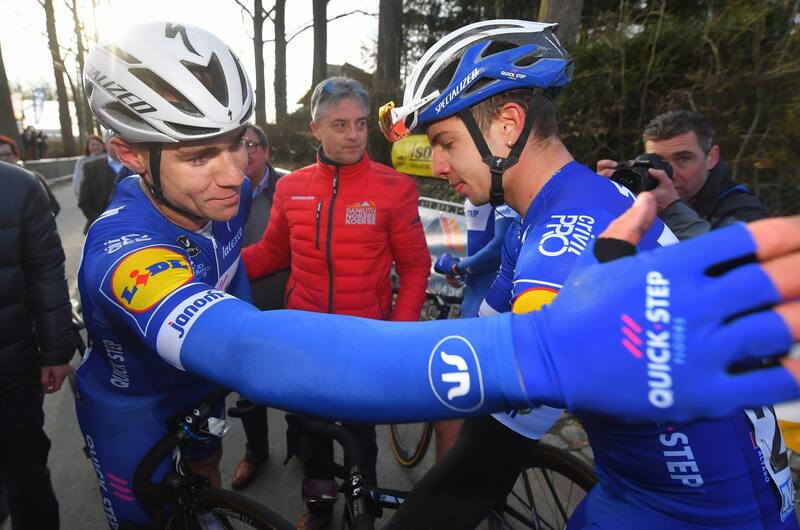 The 21-year-old Dutchman capitalized on Quick-Step Floors’ perfect work in Nokere Koerse and netted the team’s 14th victory of the season. “Quick-Step Floors is the perfect team for me! It formed a lot of champions and I’m confident they will help me grow and become better. 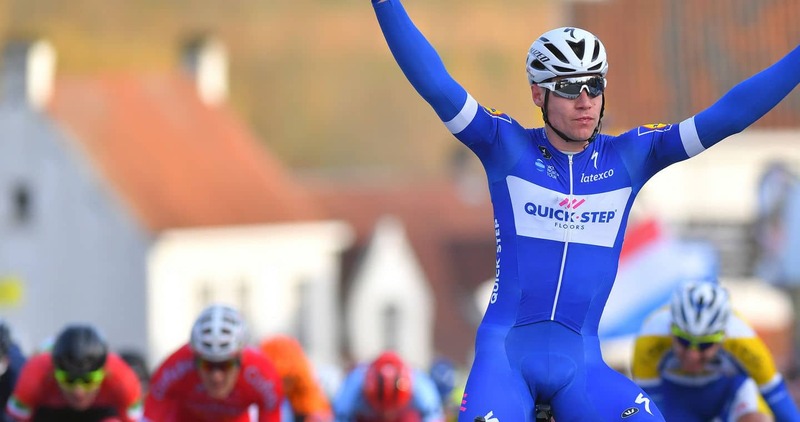 It’s the right place to be in and I hope to repay the confidence showed by taking a victory next season, although I know it won’t be easy” – these were the words of Fabio Jakobsen at the first team camp last winter, when asked about his transfer to Quick-Step Floors, the most victorious squad in each of the past six years. Fabio – a rider who made a name for himself in the U23 ranks thanks to back-to-back national titles and a stage win at the Tour de l’Avenir – needed only 14 days of racing to claim his maiden victory, and when he did it, it was in spectacular fashion, at the Nokere Koerse semi-classic (191.1 kilometers), a race which this year put on the table a revamped course, much harder than in the past, with a total of 22 cobbled sectors and eight ascents of the Nokereberg climb. After taking the victory in the previous two races of the Belgian Cup, Le Samyn and Dwars door West-Vlaanderen, Quick-Step Floors was again in the spotlight, first by controlling the eight-man break which opened a ten-minute lead and then by infiltrating two riders – Florian Sénéchal and Pieter Serry – in a dangerous group that went clear with 30 kilometers to go. As that move didn’t stick, the race came back together for the final ten kilometers, when the same incredible Sénéchal, together with a strong and attentive Davide Martinelli, covered every single attack, ensuring it all came down to a bunch sprint, which Fabio Jakobsen won with a perfectly-timed acceleration, after putting in a fantastic turn of speed that couldn’t be matched by any of his opponents, who were all left trailing on the uphill finish in Nokere. “Our goal from the start of the race was to win, because we had many guys in the team capable of taking the victory. The course was harder this year, but that didn’t stop up from shaping and controlling the race. When Florian and Pieter went in the final hour of racing, I was in the peloton and decided to save energy in case they got caught, as I was feeling good”, Fabio said after beating Amaury Capiot (Sport Vlaanderen-Baloise) and Hugo Hofstetter (Cofidis).